Smoking Trends in youth is increasing day by day, especially in students of academic institutions. 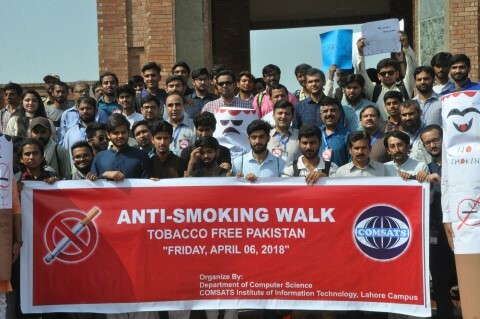 In this regard Department of Computer Science, CUI lahore organized an Anti- Smoking Campaign on Friday, 6 th April 2018. Multiple activities were held to spread awareness about adverse effects of smoking. A Seminar on “Smoking is Killer” awareness by medical point of view was organized. Senior Faculty member Nadeem Ghafoor Ch described hazards to health associated with active and passive smoking. During Namaz-e- Juma Khutba Islamic point of view about smoking’s impairment of religious obligations was elaborated. 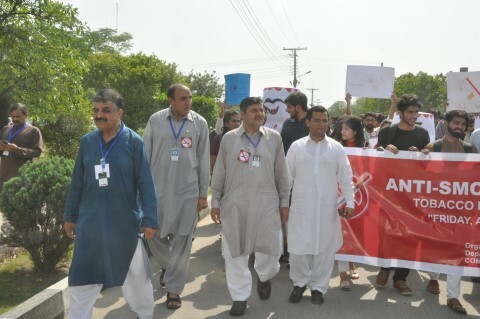 An “Anti-smoking Campaign Walk” was lead by Worthy Director CUI Lahore. 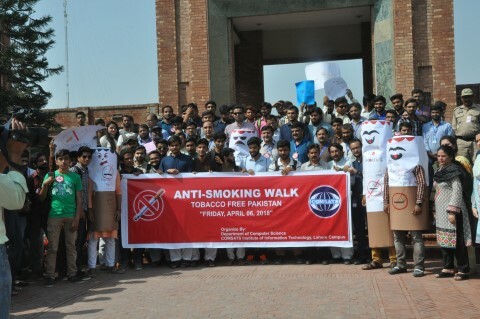 A large number of students and faculty members participated in the walk, who were carrying different posters and play cards showing slogans against smoking. Worthy director emphasized the students to become the ambassador of Anti- Smoking and convince smokers to quit smoking for sake of their health and at community at large. 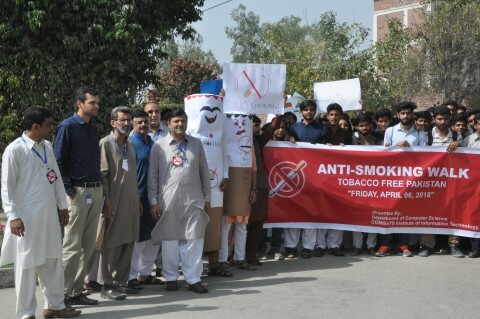 Dr Ghulam Rasool, Head of CS Department and other CS faculty members organized the important campaign to make CUI Lahore a 100% smoking free Campus.